Websites that are fully responsive to fit on any device. Each funeral home site is an original creation designed by our webmasters to suit your individual needs. We welcome your ideas and will create a funeral site just as you want it, with a look and feel unique to you. Sites are designed with the web browsing audience in mind. According to our Google Analytics account, the 45 to 64 age group make up 69.23% of our web traffic. The features of being easy to NAVIGATE and READ is of the utmost importance! Simple web design is trending in 2017! Todays web visitors want information without hunting through complicated web design. 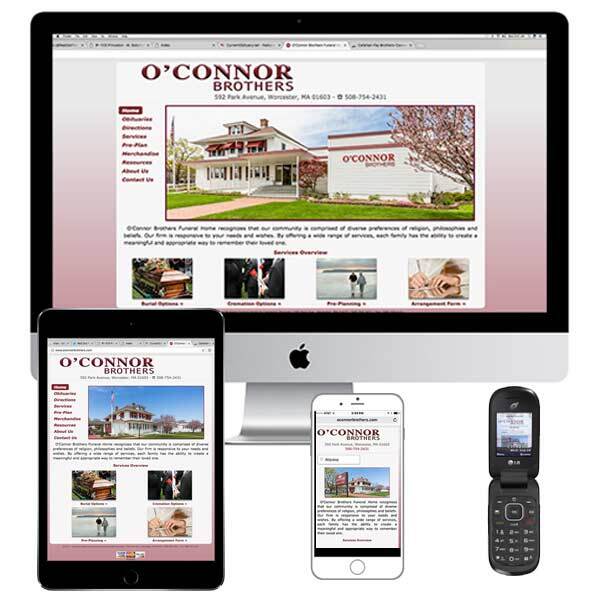 We design distinctive funeral home web sites to present the best first impression of you and your funeral home. The mobile view of your site is the most important of all. Many people will never visit your desktop site. 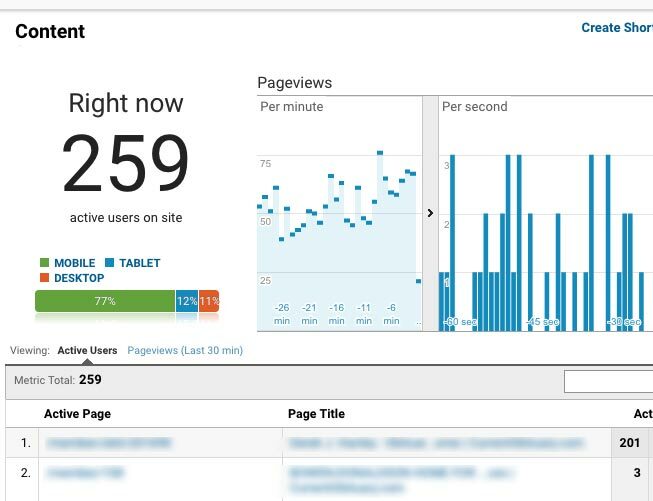 Please have a look at this actual 8 PM Google Analytics screen shot. You’ll see 77% Mobile, 12% Tablet and 11% Desktop!